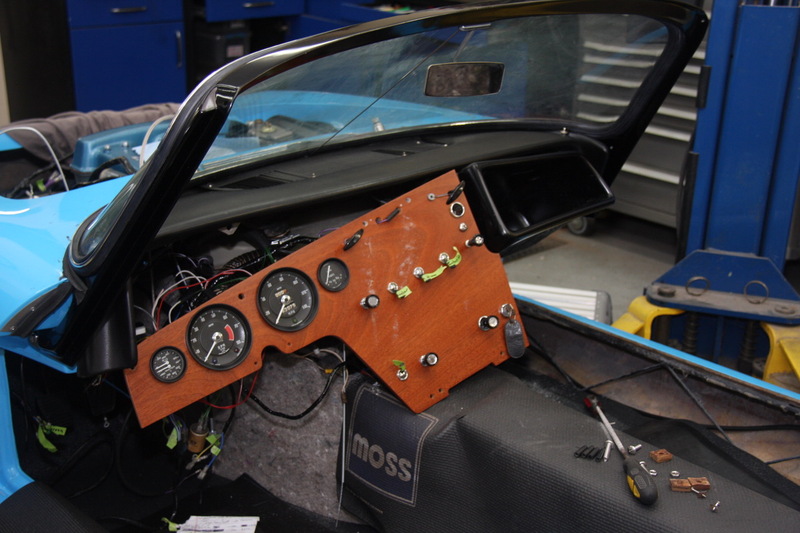 While bolting the dashboard into our Lotus Elan in might seem pretty straight forward, it really wasn’t. First, the padded dash top needs to be in place, as does the glove box. 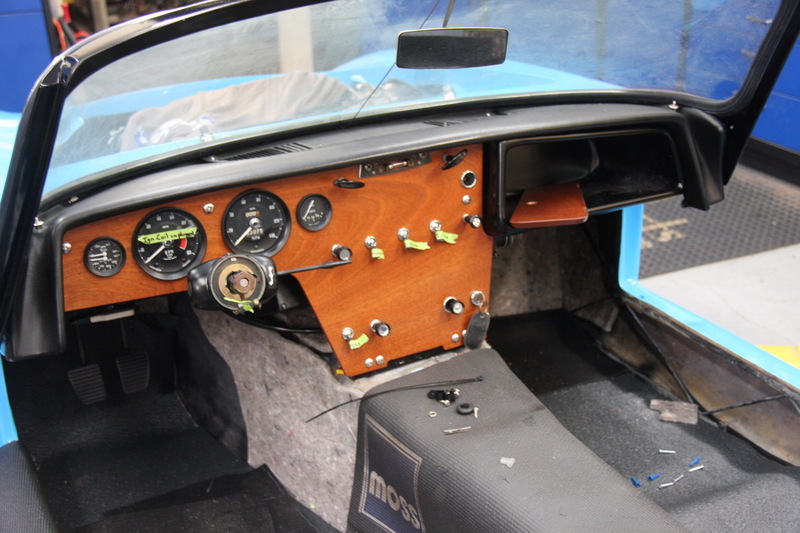 Remember, on a Series 1 Elan, the glove box is a separate fiberglass affair with a wooden door, whereas on later Elans, the wooden dashboard stretches across the whole car. You need to get all your wiring neat and tucked in well behind the dashboard. You also want to attach everything from tachometer to the speedometer cable while the dash is still about 6” from being bolted into place. Once everything is attached and neatened, you can start to bolt the dash into place.